We’ve been a swim team family for four years now. Annie, since she was a wee one, has been dragged to daily practices and all-day Saturday meets every May and June…like it or not…to watch her brother swim. 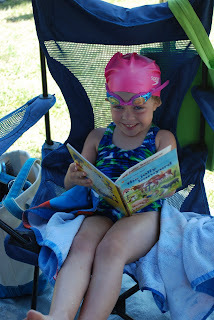 This year – she’s not a spectator, but a participant! That’s right. My five-year-old has decided to swim competitively as well as recreationally! Let’s define “competitively”. Official swim team racing suit? Yes. Cool goggles. Sure. Hot pink swim cap. You betcha. As her good momma told her – looking the part is half the battle! 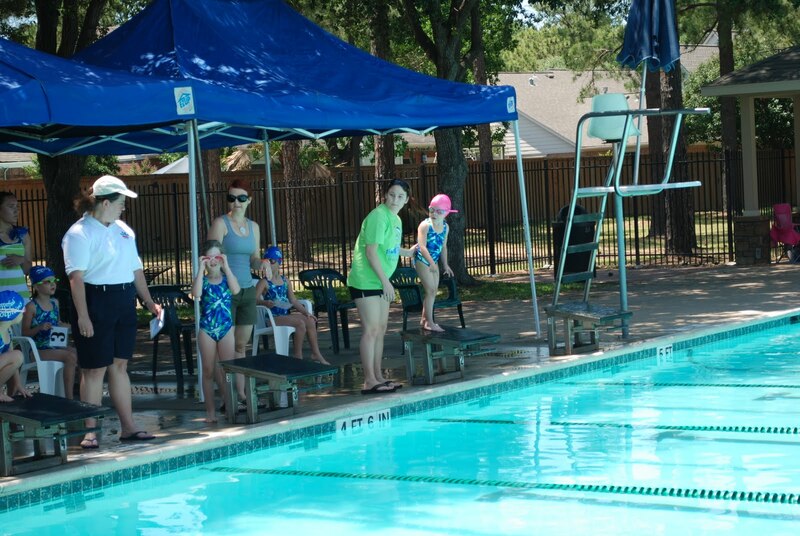 Last weekend at time trials she got ready for the 25 freestyle event and got a bit nervous on the starting block. 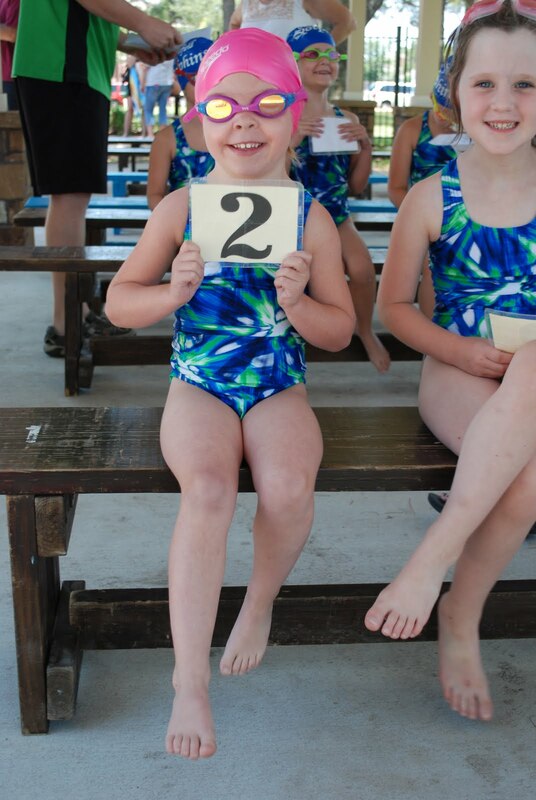 I could see her across the pool talking to a coach…arms flying around in excitement. I couldn’t hear her, but I could only imagine what she was saying. She had some concerns about whether she was supposed to “dive” (aka jump) into the pool at the sound of the beep or the blink of the light. 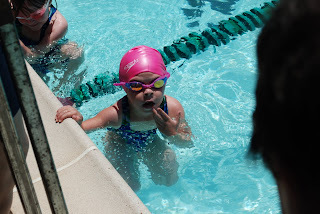 I can only imagine what was racing through her cute, five-year-old head as the starter told the swimmers to take their marks. I wanted to go over there and hug her so bad. Instead – I whispered “dive into the water when you hear the beep, baby” about a million times to the heavens. She took her mark and jumped in. A mere one minute and two seconds later – she made it to the other edge of the pool (it takes my nine-year-old 18 seconds). But a prouder momma there couldn’t have been. And I know that I’m a bit biased, but come on. 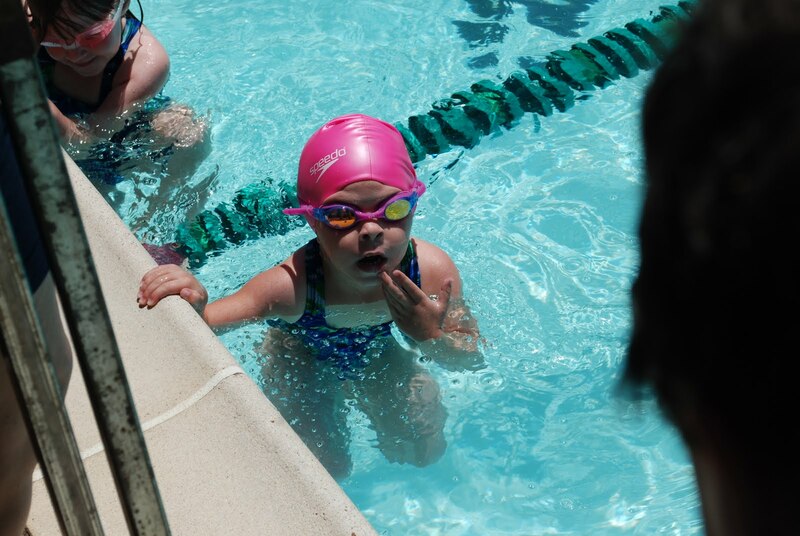 How stinkin’ cute is she in that hot pink swim cap?!! !